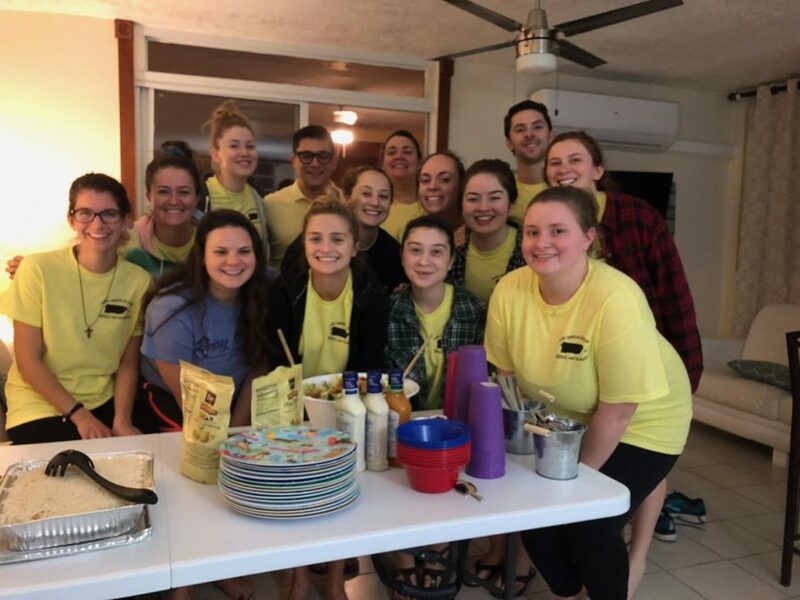 One of the thirteen winter break alternative groups volunteered in Fajardo, Puerto Rico, pictured above. Over winter break, 158 Saint Anselm students and staff participated in the Campus Ministry’s Winter Break Alternative program. These participants journeyed to 13 locations including Austin, Texas; Talcott, West Virginia; Camden, New Jersey; Baltimore, Maryland; Washington, D.C.; Salem, West Virginia; Atlanta, Georgia; Manchester, New Hampshire; New Orleans, Louisiana; Winston-Salem, North Carolina; Philadelphia, Pennsylvania; Phoenix, Arizona; and Fajando, Puerto Rico. The trips are part of the Service and Solidarity Missions program, which is now in its 29th year at the college. The program allows students the opportunity to serve others in both domestic and international locations. The students on the Pennsylvania trip had the opportunity to work specifically in the Germantown borough of Philadelphia, which is the poorest of the ten most populated United States cities. The group served in a variety of ways, such as working with adults with mental disabilities, children in an after-school program, in soup kitchens, and at transitional homes for formerly incarcerated adults. One of the Philadelphia trip’s leaders, Eli Fish, ‘20, reflected on his experiences at the Saint Vincent de Paul house, which was a former convent converted to a student-center for service trips. Katherine King, ‘21, was a part of the Camden, New Jersey trip, where she and her fellow participants served impoverished urban communities through Romero’s Urban Challenge and the Romero Center Ministries. On one occasion, King’s group was asked to clean out a shed where a homeless man named Horace had been living. This winter, the Service and Solidarity program sent one group outside of the continental United States to Puerto Rico. The group participated in both direct and indirect service in Fajardo, including working with a local woman who was affected by Hurricane Maria, cleaning up a beach trail, and planting trees in areas that were damaged by the hurricane.